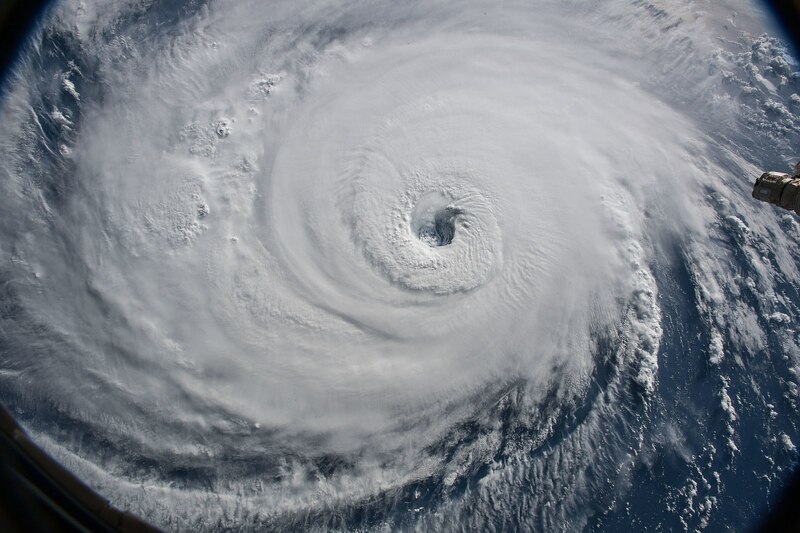 On September 14th, 2018, Hurricane Florence hit the United States. Throughout the next five days, Florence tore through the Carolinas leaving a trail of death and destruction. NBA athletes John Wall, Stephen Curry, and Chris Paul joined other relief organizations such as the Red Cross and Salvation Army in quickly raising funds to aid the people in the areas affected by the hurricane. In 2017, NCAA Division I College Basketball was able to join in on fundraising for relief funds in the face of Hurricanes Harvey, Irma and Maria. Unfortunately, it seems as though this year is different, and John Wall, Stephen Curry, and Chis Paul will not be joined by College Basketball in their relief efforts due to the NCAA’s rules regarding exhibition games. In 2017, at least twenty-four Division I College Basketball programs participated in an extra exhibition game with the proceeds going towards disaster relief. The NCAA was firmly behind these efforts and even encouraged these types of fundraising. In a press release, the NCAA stated that, “The NCAA commends the coaches associations and other organizations for considering innovative ways to help with relief work and stands ready to aid schools in their efforts, including the donations of goods and services and general fundraising activities.” The University of Kansas and the University of Missouri were among those that faced off in these fundraising exhibition games. This game was not only important for the fundraising efforts but was also a fan service. Previously, as rivals KU and Mizzou faced off frequently in Big-12 play. This fundraising exhibition game was the only time that the rivals have played since Mizzou left the conference after the 2011-2012 season. Naturally, the rivalry game brought in many fans, and as a result, it generated over 2 million dollars for Hurricane Harvey relief. In the wake of Hurricane Florence, it would make sense to assume that such an exhibition game would once again be used to raise funds for the victims in the Carolinas. However, KU basketball coach, Bill Self, claims that the NCAA rules regarding the number of exhibition games allowed now inhibit their ability to play in a fundraising exhibition game. The rule that Coach Self is referring to maintains that only two exhibition games may be played per year and those games must be against a four-year collegiate institution that is not a Division I team. This same rule was in effect in 2017 when the fundraising exhibition games were played with no changes between the 2016-2017 NCAA Division I Rules and the 2017-2018 NCAA Division I Rules. The only thing that has changed is the attitude of the NCAA. While in 2017 the NCAA commended the idea of a fundraising exhibition match, they now seem to be suggesting that the competitive advantage gained by playing in an additional exhibition game needs to be kept in check. The NCAA previously was “ready to assist with interpretations and waiver requests and will provide flexibility when appropriate.” Now, Coach Self mentions that when he was in the room debating over the rule, the majority view held that it would be unfair to allow teams to add extra games on the basis that a natural disaster occurred. This inconsistency is a problem which the NCAA needs to address quickly. 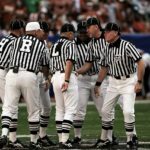 While the goal to uphold rules that protect from an unfair advantage is without a doubt meritorious, the change of attitude from flexible to rigorous is concerning. It is not as if the intent or even the wording of the rules have changed. Now, there is a very real concern that teams would use a disaster or a specific fundraising cause to seek an advantage by playing another exhibition game. Nonetheless, when this concern is balanced with the impact that the money raised from such games could have, this concern is greatly outweighed. Currently, Hurricane Florence is estimated to have caused close to 50 billion dollars of property damage and forty-two deaths. Any money that could have been generated by the playing of a fundraising exhibition game could be a tremendous help to the people affected by the hurricane. The NCAA should still enforce their rule but should have the flexible approach that they used in 2017 in granting waivers to hold fundraising exhibition games. Morgan Winsor, Timeline of Florence as slow-moving, deadly storm batters Carolina, ABC News (Sept. 16, 2018, 2:12PM), https://abcnews.go.com/US/timeline-florence-slow-moving-deadly-storm-batters-carolinas/story?id=57842718. Chase Hughes, John Wall joins Stephen Curry and Chris Paul in raising money for Hurricane Florence relief efforts, NBC Sports (Sept. 21, 2018, 3:12PM), https://www.nbcsports.com/washington/wizards/john-wall-joins-stephen-curry-and-chris-paul-raising-money-hurricane-florence-relief-efforts. AP, NCAA claims at least 24 schools playing to aid disaster relief, FOX Sports (Oct. 18, 2017, 6:15PM), https://www.foxsports.com/college-basketball/story/ncaa-says-at-least-24-schools-playing-to-aid-disaster-relief-101817. Press Release, Saquanda Heath, Media Contact, National Collegiate Athletic Association, NCAA Commends Hurricane Relief Efforts (Sept. 29, 2017), http://www.ncaa.org/about/resources/media-center/news/ncaa-commends-hurricane-relief-efforts. Kmarko, The NCAA Steps Up For America Once Again – Won’t Let Kansas and Missouri Play A Hurricane Relief Game (Which Raised $2 Million Last Year) Because They’ve Already Played 2 Exhibition Games, Barstool Sports (Sept. 21, 2018 8:19AM), https://www.barstoolsports.com/barstoolu/the-ncaa-steps-up-for-america-once-again-wont-let-kansas-and-missouri-play-a-hurricane-relief-game-which-raised-2-million-last-year-because-theyve-already-played-2-exhibition-games?_branch_match_id=5720851882972671. Gary Bedore, KU would ‘love’ to play another disaster relief game, but can’t, Bill Self says https://www.kansascity.com/sports/college/big-12/university-of-kansas/article218774025.html. Leslie Scism & Erin Ailworth, Moody’s Pegs Florence’s Economic Cost at $38 Billion to $50 Billion, The Wall Street Journal (Sept. 21, 2018, 7:22PM), https://www.wsj.com/articles/moodys-pegs-florences-economic-cost-at-38-billion-to-50-billion-1537572161. Tyler Pager & Christina Caron, As Florence Death Toll Climbs, Families Grapple with Loss of Infants, The New York Times (Sept. 21, 2018), https://www.nytimes.com/2018/09/21/us/florence-deaths-infants.html. 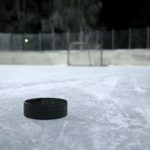 « Domestic Violence in the NHL: Is No Policy Really the Best Policy?